Close-up of art pieces in Jamie and Irena Weiss’ bedroom. Irena is originally from Mexico and the drawing is a gift from a close friend of hers, a professional Mexican illustrator. 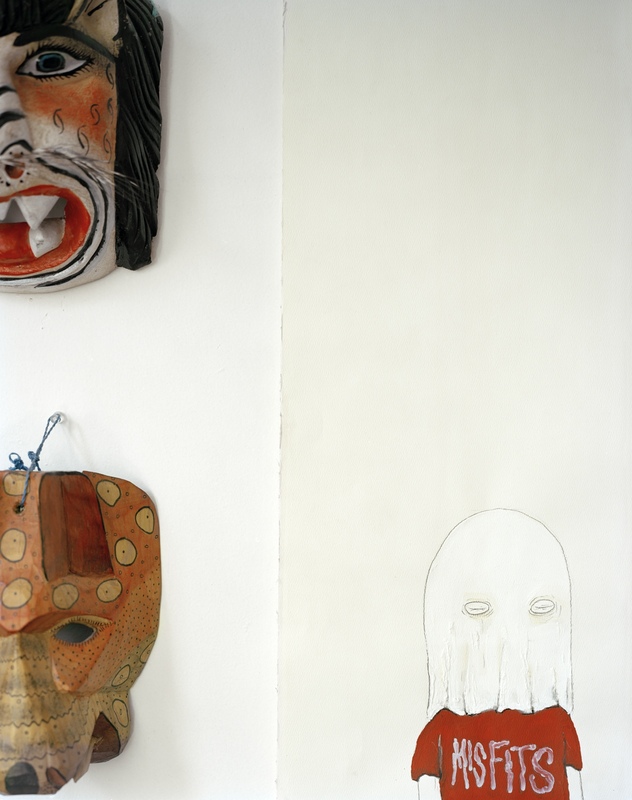 The hanging masks represent different aborigenal tribes in Mexico. April 2013. Published November 20, 2016 at 1263 × 1600	Both comments and trackbacks are currently closed.